Electronics Technician Third Class Kenneth Smith was one of 10 sailors who went missing after the U.S.S. 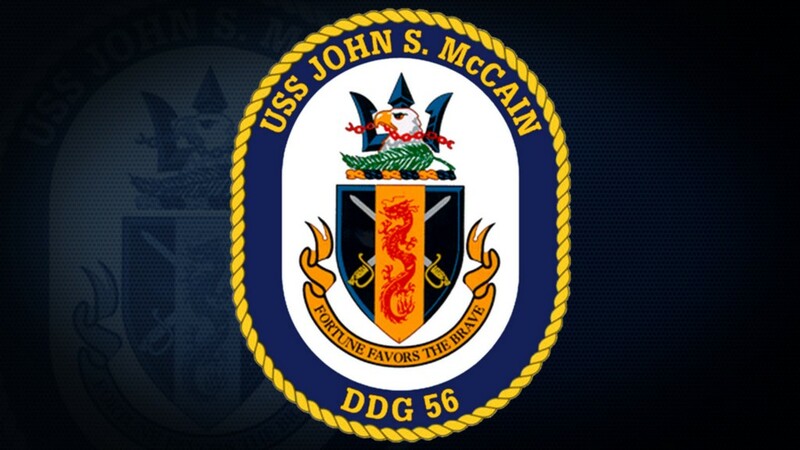 John S. McCain was involved in a collision earlier this week. The United States Navy has confirmed the death of a Cherry Hill sailor whose remains were found three days after he and nine other sailors went missing following a collision on the U.S.S. John S. McCain. Today, the Navy announced it had recovered the remains of 22-year-old Electronics Technician Third Class Kenneth Smith from Cherry Hill. Smith’s remains were found as U.S. Navy and Marine Corps divers conducted search and recovery effort inside flooded compartments of the ship in an area east of the straits of Malacca and Singapore, near where the collision took place. Smith and nine other sailors went missing on Monday when the U.S.S. John S. McCain, an Arleigh Burke-class guided-missile destroyer, collided with a Liberian-flagged merchant vessel named the Alnic MC. The U.S. Navy also identified the other nine sailors missing from the ship, but their remains have not been found. Local government officials offered their assistance to the Smith family after learning of his passing. “While I know there is nothing we can do to erase their heartbreak, the Township will continue to provide whatever resources, comfort and assistance we can to the Smith family in the wake of this tragic loss,” Cahn added. “On behalf of the entire Camden County Freeholder Board, I wish to extend our most sincere and heartfelt condolences to the family of Kenneth Smith who proudly served his country aboard the USS John S. McCain,” Camden County Freeholder Bill Moen said in a statement. “….his commitment to become a third-generation sailor, following in the footsteps of his father and grandfather before him, is truly inspirational, and he exemplifies a life of service to others. The U.S. Navy is continuing to investigate the collision.